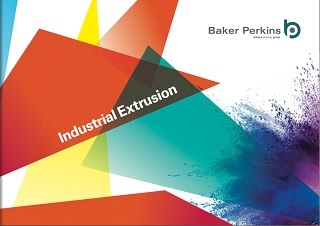 Developed specifically for the complete range of Baker Perkins extruders, a touch-screen HMI provides clear, at-a-glance visualization of the process, including current status of all major components and parameters. 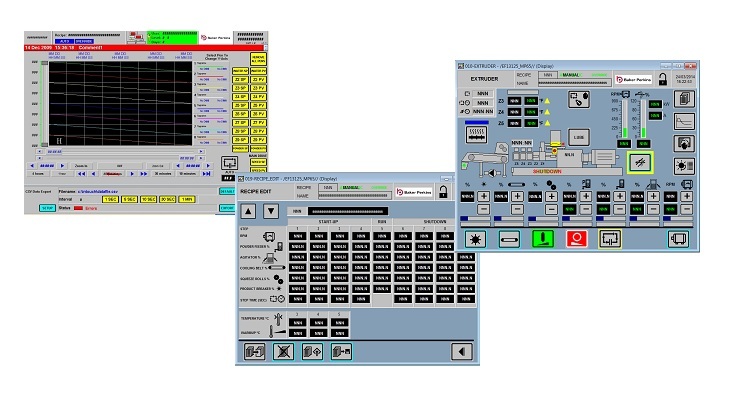 Options include systems integration of upstream and downstream equipment into a single control point for the line. Optional features such as gearbox condition monitoring and gravimetric feeder data - such as machine throughput and specific energy calculation - can also be integrated. Data trending and logging, and a network connection for data acquisition support short and long-term efficiency and process improvement programmes. Startup and shutdown sequencing cuts waste at the beginning and end of each run: production does not start until the machine has warmed up, and the extruder does not shut down until product is completely ejected from the barrel, resulting in minimum cleaning between product changes. The system includes remote access over the internet via a VPN router. This enables Baker Perkins' engineers to log in to a machine anywhere in the world for fault-finding, commissioning and software updates. Alarm management means that the operator can immediately identify and locate problems. 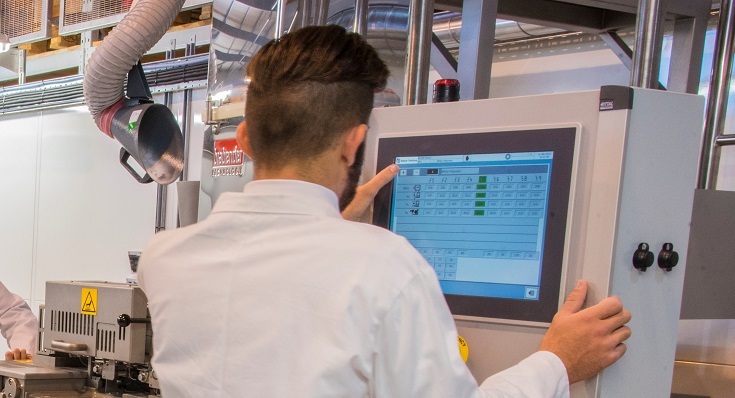 Automatic management of recipe settings ensures exact, unvarying replication of product, eliminating quality variations caused by operator error, while the data collection system records all key process variables.